It is important to set aside money to deal with unforeseen events that can put a strain on your finances. Setting up an emergency fund to which you have quick access will offset the potential damage such events can do to your savings. Neesa Moodley-Isaacs looks at the ways in which you can set up such a fund. An emergency fund can best be described as a fund that you set up to take care of your day-to-day or living expenses at a time when your normal source of income is disrupted. Examples of such an emergency could be an illness that outlasts your paid sick leave or when you are unexpectedly retrenched. You can use your emergency fund to tide you over until you can re-establish a regular income flow and can avoid having to dispose of your assets or to dip into your education or retirement savings to make ends meet. You can also resort to your emergency fund when you have to meet unexpected once-off expenses that are not included in your budget, such as paying for the funeral of a family member who did not have funeral insurance, or paying the deposit for a second family car, or having to cover the excess payable on your car insurance after an accident. The question is: how much should you have in such a fund? According to Prem Govender, the chairperson of the Financial Planning Institute, who runs her own financial planning company, Mosswick Investments, the minimum amount in your emergency fund should be enough to comfortably take care of three to six months’ expenses. The hope is that in this time you will recover from illness and be able to return to work, or in the event of retrenchment, to find another job. You might have an income protection policy in place that will provide you with a maximum of 75% of your gross income if you lose your job or become incapacitated. However, this will only pay you out for a period of six months, so you still need to have sufficient money in your emergency fund for three to six months. Your income protection policy also might not cover all your expenses in this time, as you face increased financial responsibilities, such as paying for medical treatment if you fall ill.
Debbie Netto-Jonker, of Netto Financial Services, says your emergency fund should also cater for annual expenses when it is more convenient or cost-effective to make annual rather than monthly payments. A good example of this would be setting aside money for your car’s maintenance during the year. Netto-Jonker says you should try to set aside R3 00o to R5 000 a year for car maintenance, regardless of how much you currently spend on the car. You are likely to spend this amount and more as your car gets older. You might spend less money in the first five years of your car’s life and then end up spending bigger amounts on maintenance as the car gets older. However, by saving a fixed amount each year towards the cost of your car’s maintenance, you can avoid having to borrow money to carry out repairs, or putting off necessary car repairs because you don’t have the funds. That money you saved in the first five years will stand you in good stead when your car is older and requires more maintenance. There are several ways in which you can set up an emergency fund. However, the key is that you must be able to easily access your emergency fund should the need arise, without incurring expensive penalties. Emergency funds, by definition, suggest that this should be money you can get to in a hurry and at the least cost to you, she says. The ideal solution would be to use an account or savings vehicle that offers you a fair rate of interest and easy access to your money in an emergency. Some of the financial products you should look at to set up your emergency account include bank investments, money market funds and, in certain circumstances, endowment policies. Netto-Jonker says your initial savings towards an emergency fund should be invested in a money market account. When you have saved sufficient money for your emergency fund to adequately meet your needs, you can ask a financial planner to help you structure an investment portfolio that has the correct balance between investments in cash, bonds, shares and property. If you use a bank savings product, shop around for a savings account that pays the highest rate of interest. Look to find an account that is capitalised on a monthly basis. This means that you earn interest not only on the capital amount you have banked, but also on the interest that your capital generates. “Remember, the magic of compound interest will help your nest egg grow faster,” Govender says. With savings accounts, you should carefully check the bank charges or costs, such as monthly charges, as well as any minimum balance you have to keep in the account in order to attract a particular interest rate. With time and as your savings grow, you may want to transfer some of the funds into other accounts that pay a higher interest rate but are not as accessible. An example is a notice-deposit account where you are required to give the bank 32 days’ notice before you can access your funds. With at least one month’s expenses available immediately, you can then give the bank notice for the amount you might need the following month. In this way, you will continue to benefit from further interest on the balance of funds held in the account. Money market accounts usually offer a higher interest rate than a bank’s savings account. Because interest rates are high at present [in 2008], you can earn as much interest or even more interest on your funds in a money market account than you would if you placed your money in a one-year fixed deposit with a bank. However, there are usually stipulations on the minimum initial deposit you must make to open the account, which means you need a high initial deposit to open a money market account. This initial amount varies with each institution. You can, for example, open a money market account at First National Bank with a minimum deposit amount of R10 000 and the interest rate starts at 6.3% for amounts between R10 000 and R19 000, increasing to an interest rate of 8.9% for amounts of between R50 000 and R99 000. You can access your money within one to two days, if not immediately, and you can make as many withdrawals as you like, without incurring penalties. You can earn higher interest of 10.27% with the Absa Private Bank Money Market account, but the minimum investment required is R250 000. A third savings option for your emergency fund is an endowment policy. An endowment policy is a savings policy taken out with an insurance company, usually for a minimum term of five years and a maximum term of 10 years. These are pure savings policies, which means that there is no risk cover attached. The costs are either imposed upfront or levied on a monthly basis as the premiums are paid regularly. With an endowment policy, the life assurer pays tax on your behalf on interest and on property income earned within the portfolio at 30%. You are allowed to make one withdrawal in the first five years. Your withdrawal is legally capped at the initial amount you invested plus five per cent compound interest. Beyond that one withdrawal, savings in endowment policies are difficult to access, and there are usually penalties for early withdrawals. The advantage of saving this way is that you can commit to saving money each month. It is a particularly good option if you are not disciplined enough to stick to a savings plan and are easily tempted to withdraw funds. The disadvantage of using such a vehicle for an emergency fund is the penalty on early withdrawal, particularly if you find you need your money shortly after the investment is put into place. Another savings option for your emergency fund, if you are a homeowner, is to put away extra money into your bond each month. Gavin Opperman, the managing executive of Absa home loans division, says this is an often neglected savings mechanism which is easily accessible. “By putting extra money into your bond, you are not only saving for a rainy day but also reducing the interest you pay on your bond, which saves you more money,” he says. 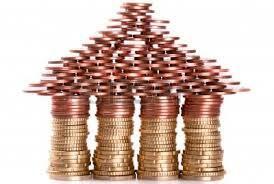 Albert Einstein said that one of the most powerful forces in the universe is compound interest. Netto-Jonker says using your home loan to save for an emergency fund is the most effective way to take advantage of compound interest. When you apply for a bond, you apply for one that covers 100% of the cost of the property and make sure you apply for an access or flexible bond. Then you make an initial deposit or payment into the home loan. You will then automatically have access to the funds you have paid into your bond and it is a simple matter of going into your bank branch or making an internet transfer to access the money. If you do not have an access bond but you now need access to the money you have paid into your home loan, you can apply to your bank to advance you money from your bond. Opperman says the bank will assess your payment history and then decide whether to advance you additional funds. You do not have to pay for a second bond registration as the drawdown on the money paid into your bond is not registered at the Deeds office. Although it is linked to your home loan, the additional funding is a simple loan agreement between you and the bank, Opperman says. If you have a good credit record and payment history with the bank, the money can be made available to you within a few hours, or at most, within 48 hours. “Consumers can opt to pay more money into their bonds each month, which is what we advise, or they can recalculate their bond repayments over 20 or 30 years, starting from when they accessed the additional funds from their bond account,” he says. Opperman says that you should always pay as much as possible on your mortgage repayments so that you reduce the interest you pay. The third option is to use your bond as a savings facility and pay the amount you would set aside for an emergency fund directly into your bond. This means you are not only saving money towards an emergency fund each month but your increased bond repayment helps reduce the interest you ultimately pay on your home loan. If you had a home loan of R1 million at prime (14.5% in 2008) and paid in R200 extra each month, you would save R200 000 in interest charges and pay off your bond 20 months earlier. So, you would be reducing your debt and squirrelling money away for a rainy day at the same time. You must, however, resist the temptation to dip into your home loan for luxury or unnecessary purchases. It is imperative to have an emergency fund in place, no matter how small it is. Remember that essential payments such as your rent or bond repayments, electricity, water, rates and food, to name but a few regular expenses, do not stop because you are sick or have been retrenched. Having an emergency fund will allow you to focus on getting well without being burdened by the stress of being unable to pay your bills or worrying about finding another job immediately. An emergency fund reduces the danger of you losing your hard-earned assets in the short term. This article was first published in Personal Finance newspaper on 22 March 2008.